How to Refinance Into A VA Home Loan? VA loans are special types of loans created specifically for veterans, offered by VA-approved lenders and guaranteed by the Federal Government. Similarly, VA refinance home loans (also known as VA Interest Rate Reduction Refinance Loan or IRRRL) are special loans offered under the VA refinance program for veterans to refinance their VA loans. Refinancing your current loan changes its interest rates, terms, and possibly lenders. Ideally, if you’re able to get a better rate than when you took the loan, you’ll be able to save a significant amount with lower monthly payments. If you’re even consideration refinancing, but dreading the application process, the good news is that with VA home refinance programs the process is much easier and quicker than when you first applied for a mortgage. For instance, you don’t have to present employment and income verification, do an appraisal, or verify your bank account and credit score. The VA loan is attractive for many reasons, the main one being the fact that as long as you are a veteran, or qualify, you can get a 0% down, meaning you don’t need to make a down payment, in order to get the loan. This doesn’t change when you decide to refinance. You will still enjoy the zero down policy, which makes refinancing a very attractive option when interest rates are low. VA refinancing doesn’t require an appraisal of your home. In fact, most VA refinance companies will process your application and offer you the new loan within a month’s time. In addition to that, no credit underwriting is required. 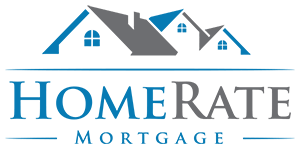 HomeRate Mortgage believes you shouldn’t have to wait longer than necessary and works hard to guarantee fast approval rates. If you have a VA loan, you can opt to take a VA refinance with cash out option. If you choose this option, you not only reduce your interest rates but also get some cash for you to spend as you wish. This option works if the value of your home has appreciated over time (if you have improved it) and you have some equity. What happens is that your VA refinance company will give you a new, bigger mortgage that takes the new value of your home into account. Part of the new loan will be used to pay off your current loan, and then whatever remains is yours to spend. This means with cash our refinancing you can lower your interest rate, extend your repayment period, and get cash in hand for any expenses you may need. While the VA does not have a set limit for the VA refinance program loan, there is a maximum on how much liability it will guarantee. When you refinance the loan, the VA offers you an entitlement of $36,000, a guarantee of how much it the program will help you repay in case of default. Most lenders will loan you up to four times that amount, depending on your credit score, where you live, income, and down payment amount (if you choose to make a down payment). The VA refinance guidelines for refinancing your mortgage to a VA loan are not as strict as most other loans; however, there are still some requirements. You must be a holder of a VA loan. The loans are offered to veterans as well as service members who were honorably discharged and some who are still on active duty. To be eligible, you must have served for 90 days during war time, 181 days during peacetime, or 6 years as a National or Reserve guard. If your spouse was killed in the line of duty, you may also qualify for the loan, and consequently the refinancing. You should not have more than one 30-day late payment on your current VA loan within the past one year. The home for which you are doing a refinancing should be your primary residence. Your monthly payments, after the refinancing, should be lower than what you used to pay on your VA loan before refinancing. That means you cannot refinance an adjustable rate mortgage (ARM) to a fixed-rate VA mortgage. VA refinance loan rates are usually lower than conventional loans rates. However, if you currently have a VA loan with an adjustable rate mortgage, the rate may increase if you switch over to a fixed rate mortgage. Even if your rate increases, you’ll have peace of mind that it will not fluctuate throughout the duration of your mortgage, unlike an ARM, which can change every five years. Apart from interest rates, there are certain VA refinance fees that you might have to pay. For instance, the VA funding fee is mandatory and is currently, it is set at 2.15% of your loan. It is used to fund the VA program for future generations to benefit from. Even though there will be some fees involved, there are other that you’ll save on. For instance, under no circumstances should you pay attorney, underwriting, processing, and escrow fees. Those are transferrable VA refinance costs (to the lender mostly). It is up to you to make sure that the money you’re saving outweighs the cost. The best way to do this is to talk to a lender who will go over all the details with you. If you’re looking to refinance a VA loan, you’re in a good situation. Few other refis come with as many benefits or can be done as quickly. Remember to choose an experienced lender for the best rates. At HomeRate Mortgage, we have the best experts in VA and veteran-related loans, so talk to us today and let’s work together to see what we can do for you.